LBG is an official dealer for Euro-Wall. A new hurricane rated folding door system manufactured in Southwest Florida. Euro-Wall is a viable up-grade for sliding glass doors. These folding glass walls are accordion style doors which fold left, right, or are split between middle panels to create a unique opening glass wall, as in a bi-fold door application. They are perfect for residential and commercial applications, interior and exterior spaces, and high velocity hurricane zone (HVHZ) requirements. 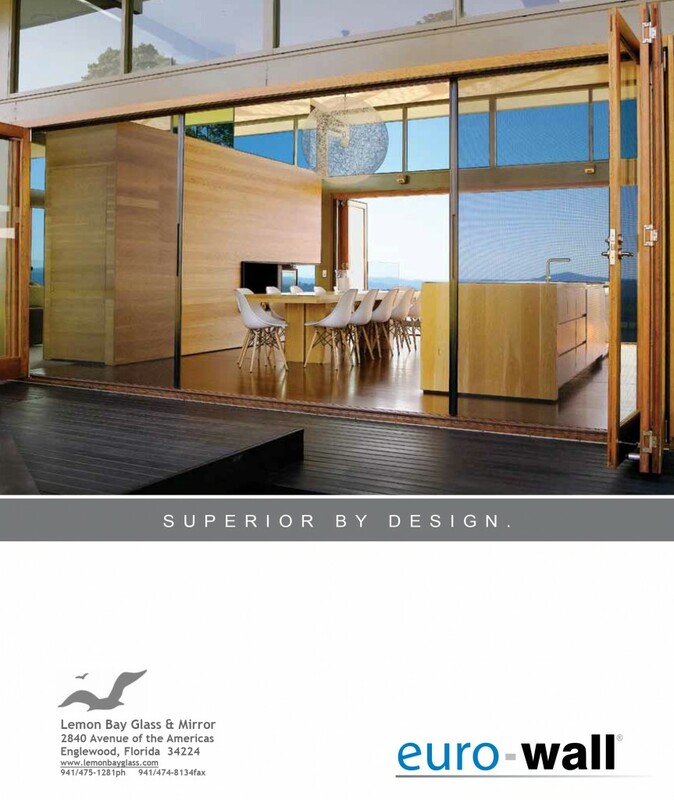 Check Out the new brochure, options for architects, builders, suppliers and homeowners in this stylish folding door product line bringing the outdoors in.